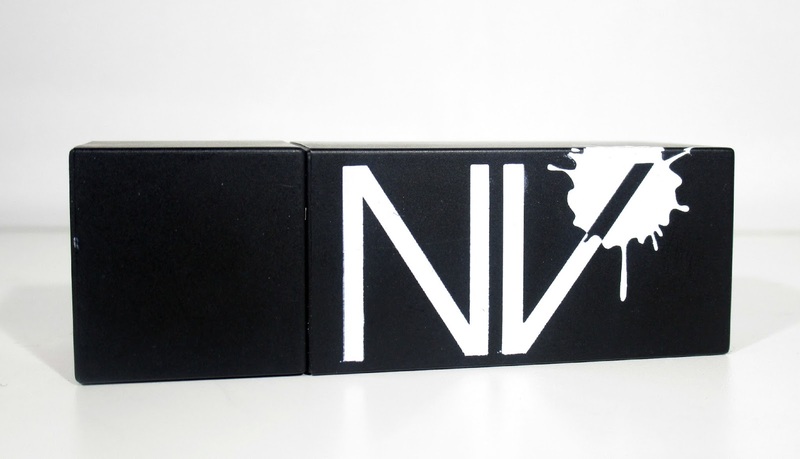 I was recently introduced to a website called NV Colour Cosmetics, the website contains lots of pretty makeup ranging from Lipsticks, Lip Crayons, Eye Crayons, Liners, Eye Shadows, Glitter Pots and much more and what really impresses me is the shade range, theres literally so many beautiful yet bright eye catching shades that are perfect for any Summer parties or festivals/music events that you might have coming up, as well as your normal everyday natural shades too. I did review 2 of their amazing Chunky Lip Crayons the other day which you can read up on HERE if you like beaut's but today I have stunning NV Colour Lipstick to share with you all in the shade Sorbet*. The NV Lipsticks are available in 6 eye catching shades and are one of the brands most popular selling products because of their outstanding quality... 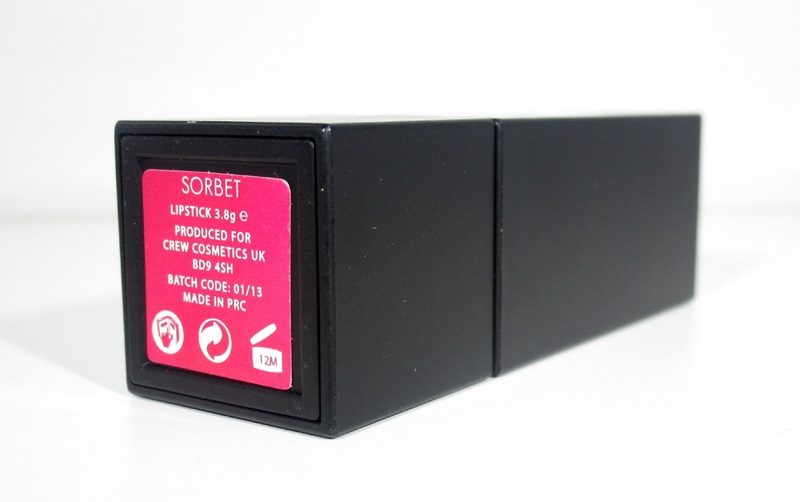 The shade I've been road testing is Sorbet, a bright popping pink shade that comes packaged in a black, square shaped lipstick bullet which holds 3.8grams worth of product, one of the amazing things about Sorbet's packaging is that it has a magnetic mechanism which always allows the lid to securely close with ease, its a great idea and means no mess or damages when you throw the lippie into your handbag on the go. The formula of the lipstick is simply stunning and feels very similar to the chunky lip crayons formula, it's very creamy and glides on the lips with ease, it's moisturising, packed full of pigmentation, feels extremely lightweight on the lips and is non sticky, woohoo! The finish of Sorbet isn't matte but it isn't super glossy either, it just leaves a subtle sheen to the lips which I really like, once the sheen has worn off your left with a beautiful non drying stain to the lips that lasts well on my lips without drying or chapping! 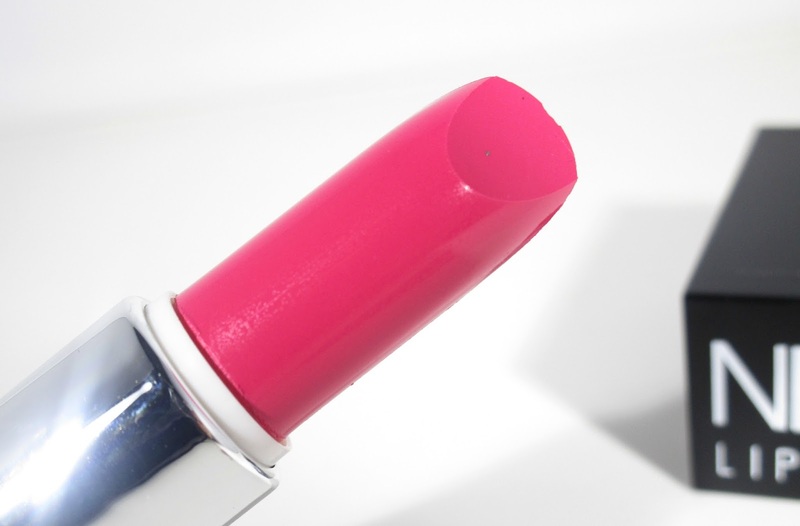 Overall I absolutely love this lippie, it's such a stunning shade for the Summer and gives you that splash of colour with ease, I've literally been addicted to wearing it this shade ever since I got it, I love it! 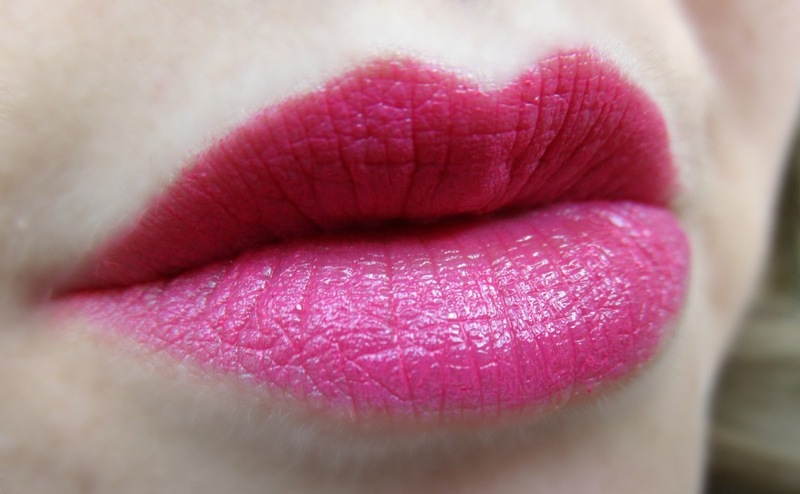 You can find the NV Colour Lipstick in Sorbet for £6.00 along with lots of other funky makeup on the NV Colour website. Have you tried anything from NV Colour Cosmetics beaut's?? I'd love to know.